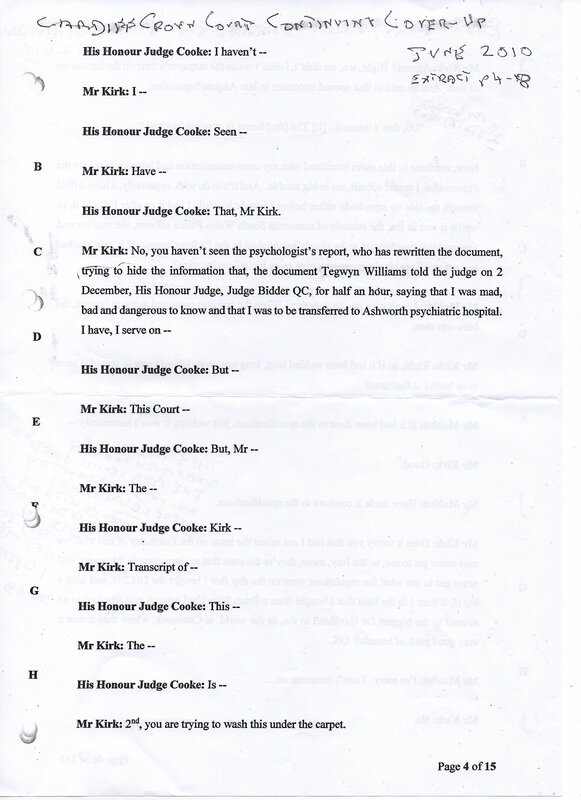 Received: various documents of copies of transcripts + other relavent docs. 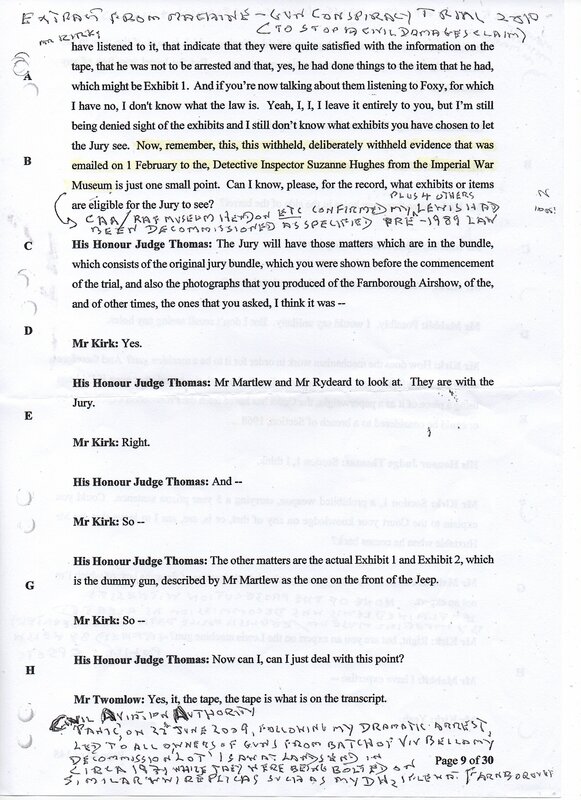 re: 2009 “machine gun trial” acquittal and after [not in any particular order]. 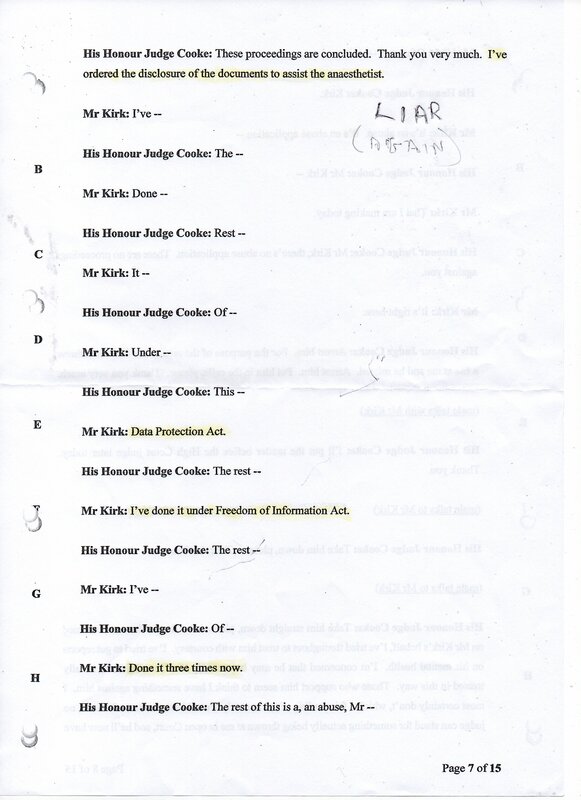 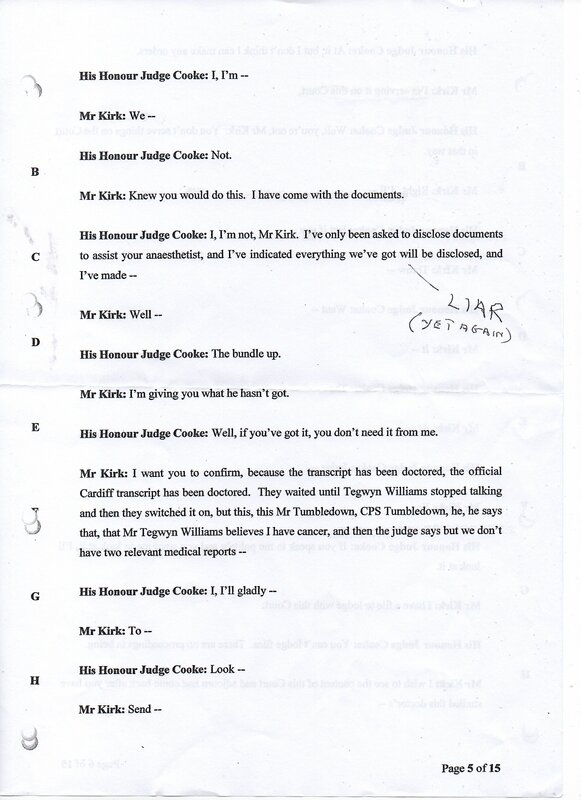 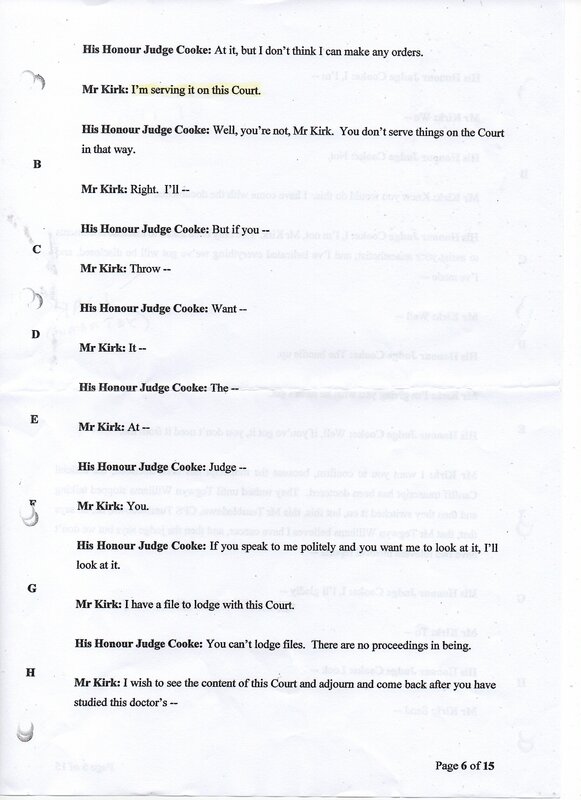 Basically, Maurice was charged with having a working machine gun, but it was not working as was claimed as MK’s witness testifies and can be seen in his statement from the court hearing given under oath, below. 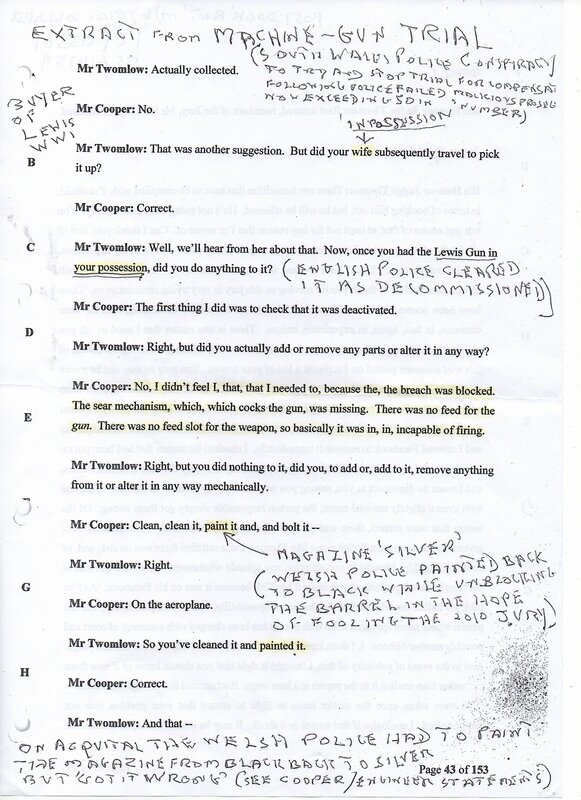 While it was in the police’s possession the gun had been painted black from it’s original silver colour, and been “unblocked” it from it’s previous “blocked” [unfireable] position whilst in MK’s possession. 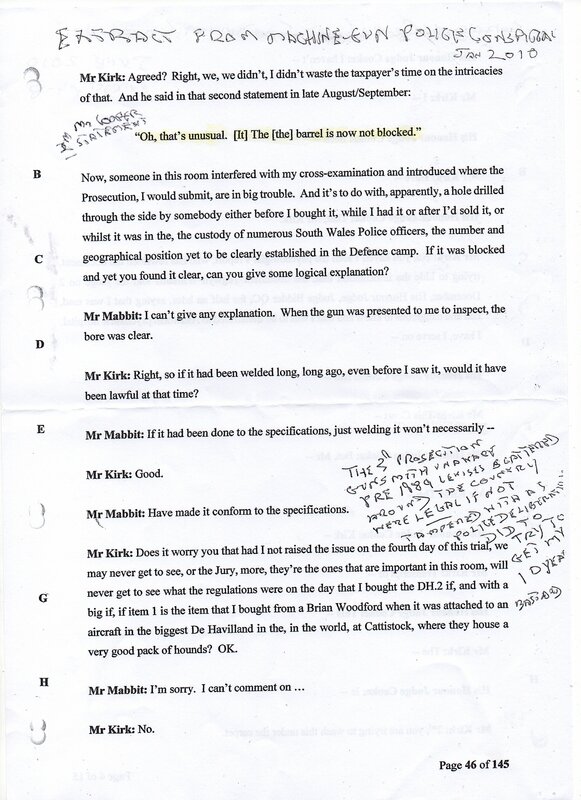 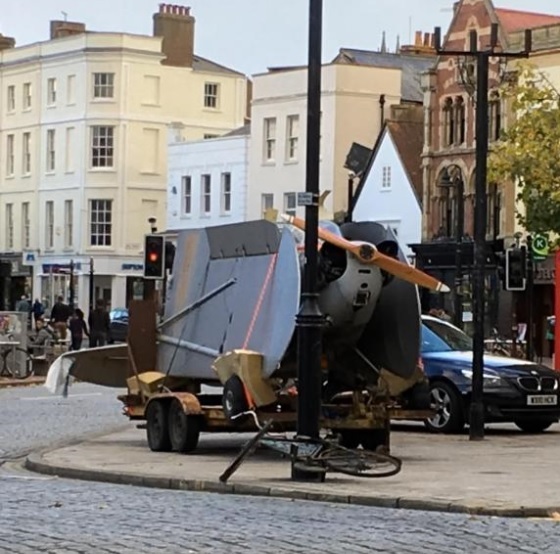 The gun had then to hurridley be painted silver again after MK was acquitted at the trial and began “damages” proceedings against the police, him being given the gun back again after his acquittal. 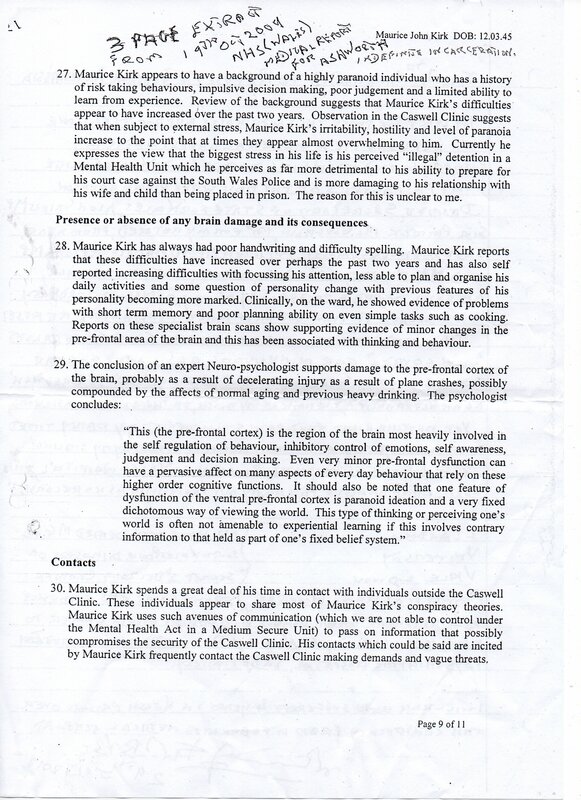 Maurice was not locked away for life as was intended, although he spent 3 months or remand [with no compensation] in the now ex-NHS’s doctor’s “Caswell clinic” as part and parcel of removing him forever from society claiming he was a “danger to society” due to a “brain tumour” with it’s associated ailments – except that this “brain tumour” didn’t actually exist, later formal NHS tests proved, and was also a diagnosis the dr. was in no way qualified to give in the 1st place! 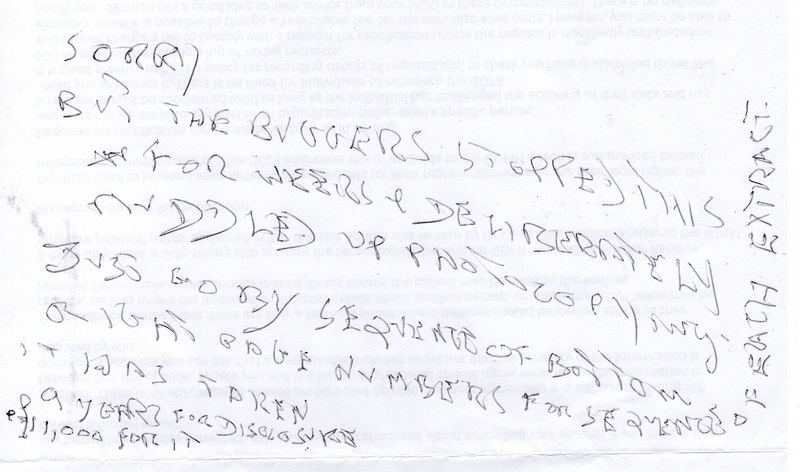 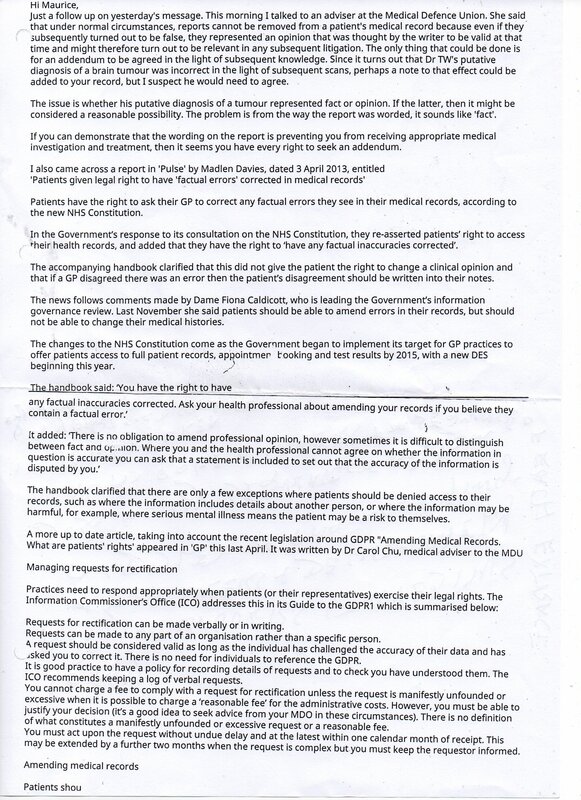 The dr. – “TW” – left the NHS not long after these farces. 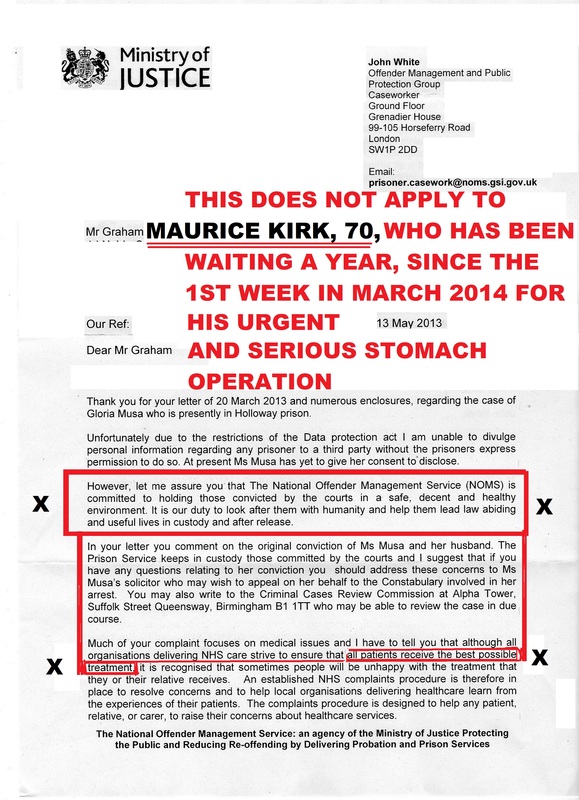 The medical records for MK stay at this dr’s clinic have proven impossible to get. 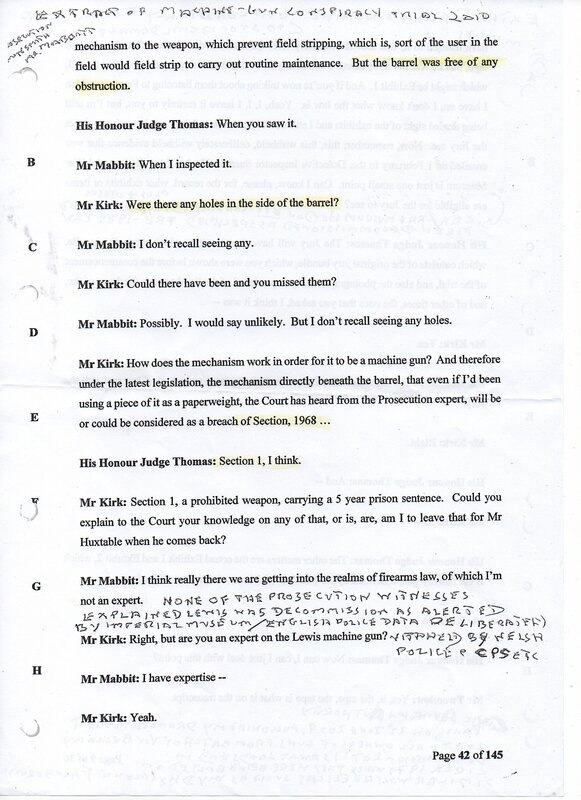 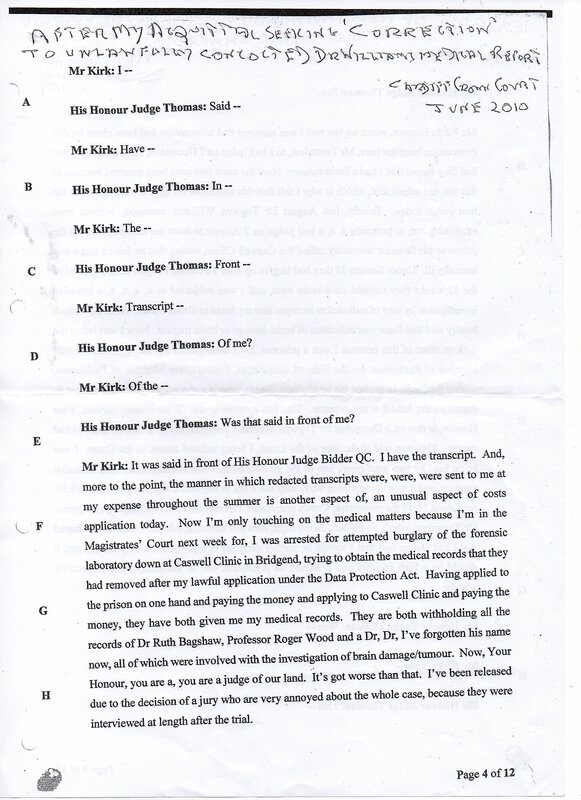 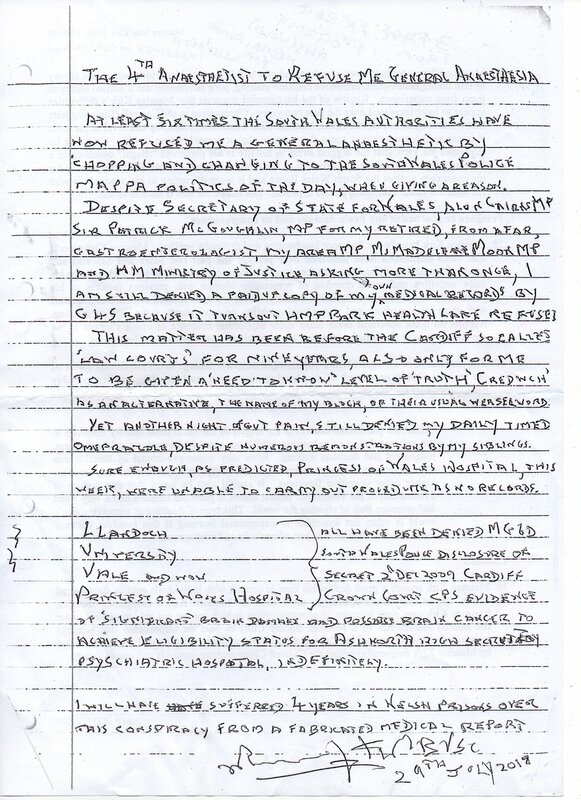 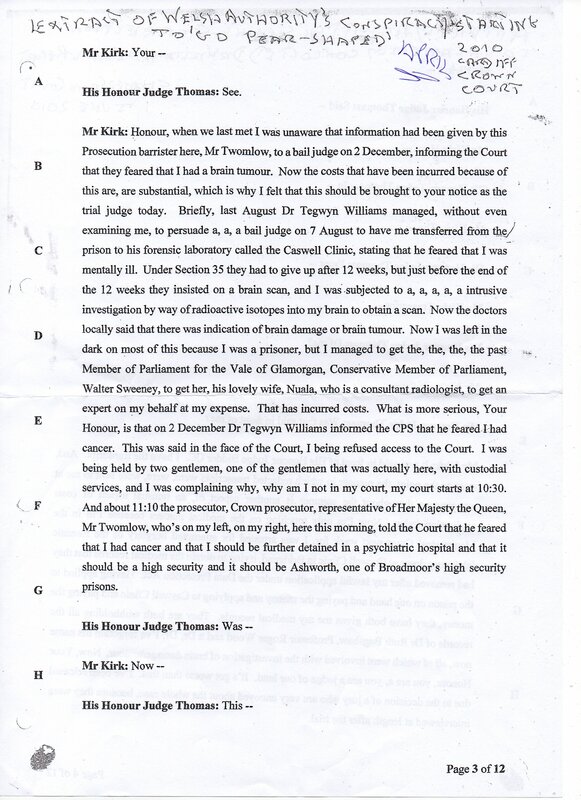 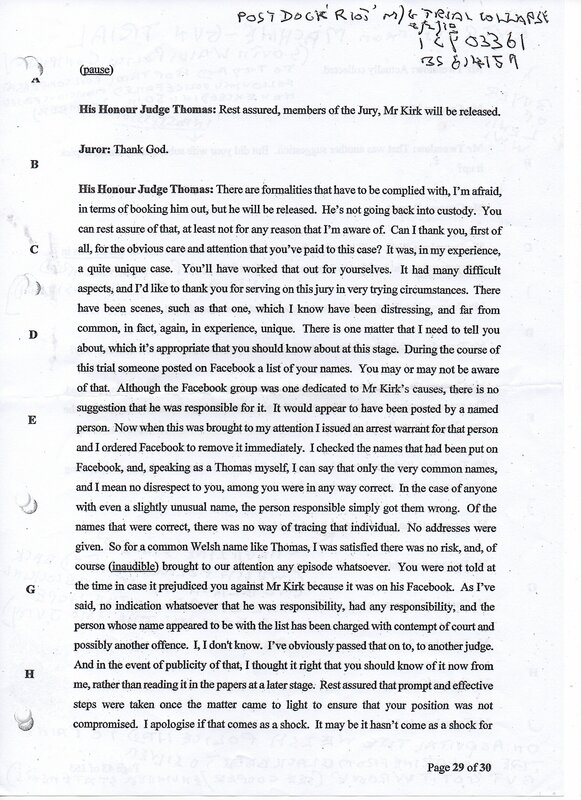 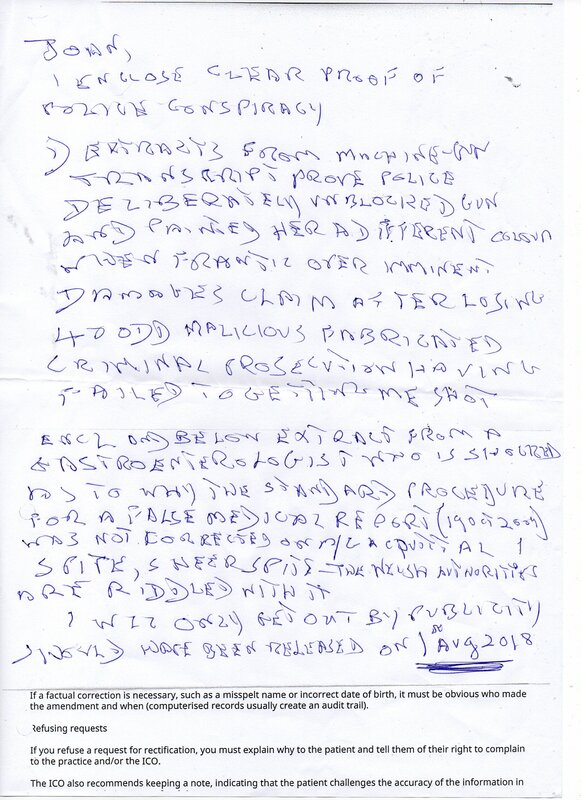 Maurice has served many sentences including this present one for “breaching a restraining order” regarding this said doctor, except the restraining order was never served according to UK law in the 1st place, and various amendments and adjustments have been made to that original order that no one has ever seen, let alone a jury who asked to see it subsequently but were denied also, proving the whole case and everything since related to that against Maurice were complete miscarriages of justice – as borne out by the original “acquittal” verdict – as well as the highly questionable sentences since [7 years total at least served behind bars as a result since 2009] given for the highly questionable breaching of a highly questionable restraining order – each sentence and remand served a complete public scandal and part of a huge conspiracy against Maurice that no authority will entertain in any shape or form when they’re notified about the miscarriages of justice. 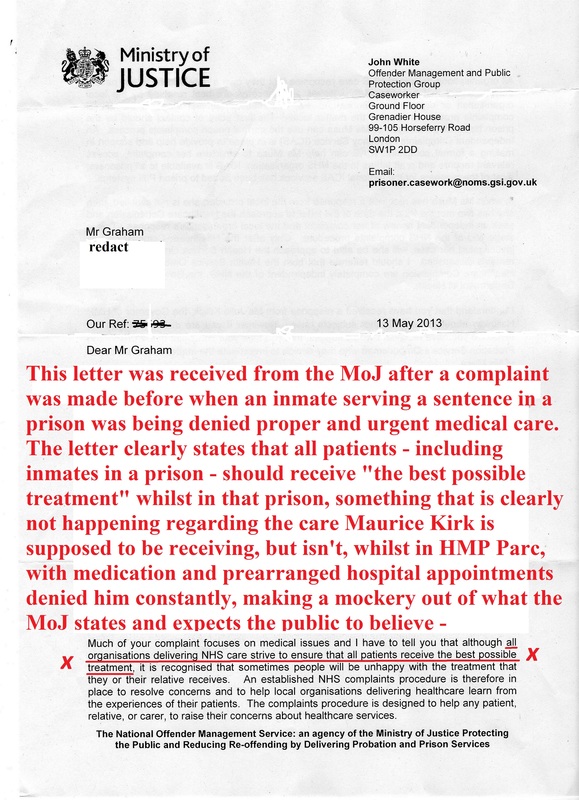 Maurice should have been released on 1 August but that was blocked.